Do you have free time during your stay at Mary-am Hotel and want to enjoy some leisure activities? Don’t want to commute far or spend money in the process? We’ve compiled basic and local activities for you to enjoy, whether you are alone or traveling with others. All these activities are less than a 20 minute walk from the hotel and are ideal for the approaching spring weather. Since it’s still chilly outside we understand that you are likely searching for convenient indoor activities. Thus, we suggest enjoying an afternoon film at the movie theatre. Cineplex Cinemas Empress Walk is a close walk from Mary-am Hotel, which is where you will find a range of mainstream films for all tastes. This makes for a fun activity if you are travelling with other family members, including children, and offers a break from any work you have. Don’t forget to indulge with popcorn and treats! Sometimes you just want to sit back, relax, and take in your surroundings. There are many local coffee chains nearby to Mary-am Hotel, including Starbucks. If you want to get very Canadian though, we recommend going to a local Tim Horton’s for a cup of hot coffee and a pastry. You’ll become quickly immersed in the sense of community present within these coffee shops. Tim Hortons provide a relaxed setting to strike up a conversation and enjoy your coffee in the company of others. Take in some fresh air and enjoy a long, leisurely walk around Mary-am Hotel. This will allow you to get familiar with the surrounding North York neighbourhood. Better yet, this offers great exercise to help you feel productive and energized. 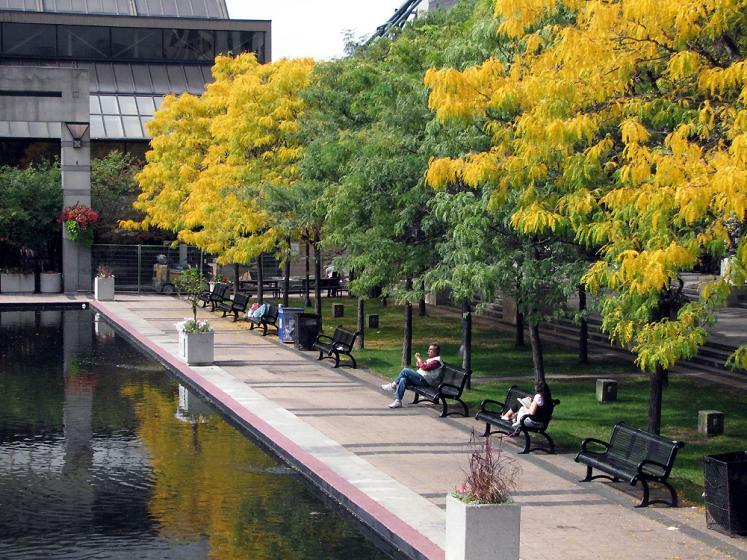 You’ll be sure to pass by recognized sites such as Mel Lastman Square, a busy public square at North York Civic Centre. It’s now clear that you don’t have to spend big bucks to keep yourself entertained during your stay in North York. There’s many simple leisure activities to take part in which offer a needed break from your everyday routine. Visit Mary-am Hotel online for complete hotel information, including nearby entertainment spots.